Abnormal involuntary dyskinetic movements in schizophrenia patients have been documented for more than 140 years. However, after introducing into clinical practice antipsychotic medications, movement disturbances became a relatively frequent phenomenon. Medication-induced movement disorders are divided into two groups: a) acute, which appears during several hours or days after beginning treatment with psychotropic medications, and b) delayed or tardive motor disturbances that occur after months or years of taking psychotropic drugs. In the term’s present meaning, the latter are iatrogenic, neurological, hyperkinetic movement disturbances characterized by repetitive, involuntary, purposeless movements in the oral/lingual/buccal area, body or choreoathetoid movements of the extremities. Tardive movement disorder (TMD) is a serious, disabling and potentially permanent pathology. The pathogenesis of TMD remains unclear, and the pathophysiology is complex, multifactorial, and still not fully understood. Moreover, there is solid evidence of a genetic predisposition to these disturbances. Abnormal movements should appear during exposure, or within four weeks of withdrawal from oral psychotropic medications or eight weeks from depot formulations. The minimal exposure to these drugs should be three months, except for patients older than 60, who can develop TMD after its use for one month. Finally, the movements should be present for at least one month to fulfill the criteria for TMD. 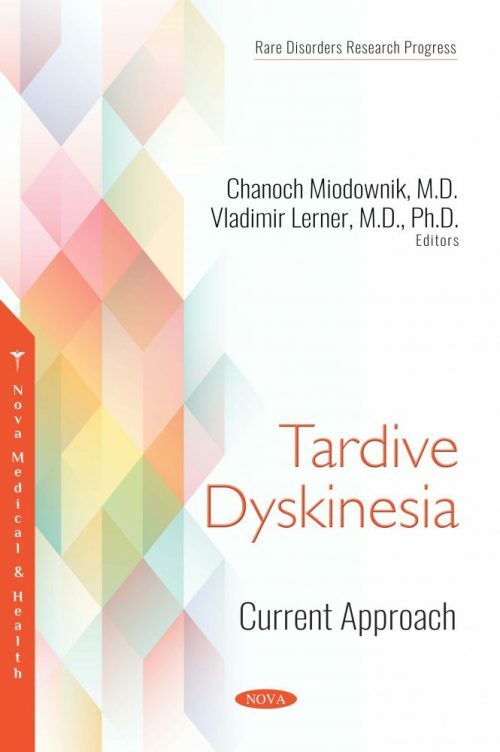 Several distinct forms of TMD exist, specifically tardive akathisia, tardive blepharospasm, tardive dystonia, tardive gait, tardive myoclonus, tardive tremor, and tardive tics, and they have different pathophysiologies and treatment. The advent and widespread use of a new generation of antipsychotics in clinical practice had been expected to dramatically reduce the incidence and prevalence of TMD, however the reduction, if any, was modest. A number of drugs were tried for the management of this motor disturbance, yet until now no effective and standard treatment has been found. Therefore, the management of this motor disturbance remains an actual topic as well as a challenge for clinicians. Although much has been written about TMD, this is obviously not a new clinical issue. Awareness of these motor disturbances as a result of medication treatment is a vital step toward intervention in the pathological process. Furthermore, it will be helpful for the protection and prevention of serious complications, while also allowing for greater access to clinicians in overall areas of medicine. The authors believe that a better understanding of TMD will strengthen the efforts and success of effective diagnosing, prevention and treatment of this condition.